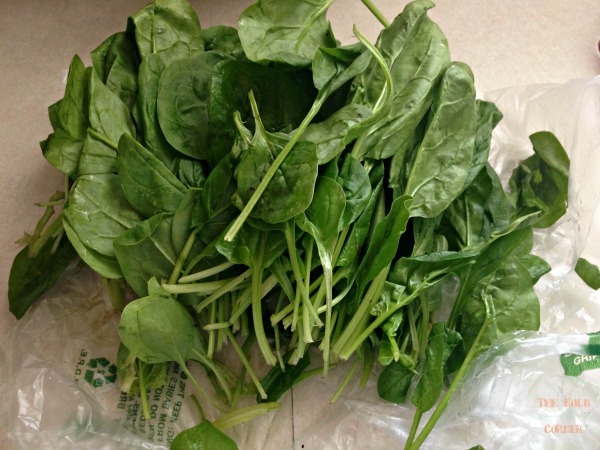 Spinach can start to go bad after just a few days in the fridge. Keeping it fresh can sometimes be tricky, so here are some tips and tricks for storing spinach the right way. My husband and I go through a LOT of spinach. 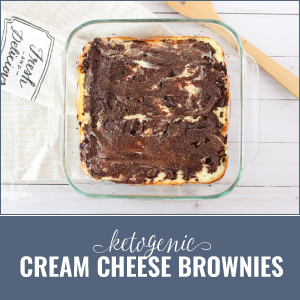 We eat it on sandwiches, use it in salads, and do quite a bit of cooking with it. Spinach is a pretty versatile veggie. I was never exposed to spinach growing up, so it wasn’t until I was well into adulthood that I actually gave it a shot. I can’t say there is really much of a flavor to it–It’s like eating other leafy greens–but there are several health benefits to eating spinach. For one, it’s packed FULL of nutrients, and some of those nutrients have natural anti-inflammatory properties. It’s also good for your heart, brain, skin and gastrointestinal health. About 3 months ago, I invested in a Prepworks by Progressive Lettuce Keeper from Amazon. 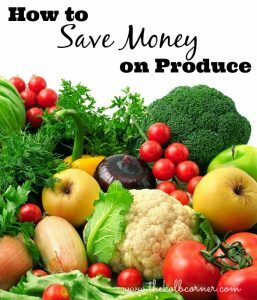 It didn’t cost much, but sure has helped me save a lot of money in produce. The best part is, it fits a whole bunch of spinach. Literally, a bunch. **Update–I’ve since bought a second of these produce keepers to keep things like Romaine, grapes, and fresh herbs fresh, depending on what I have in the fridge. There is also a berry keeper that is divided to allow 2 different types of storage. 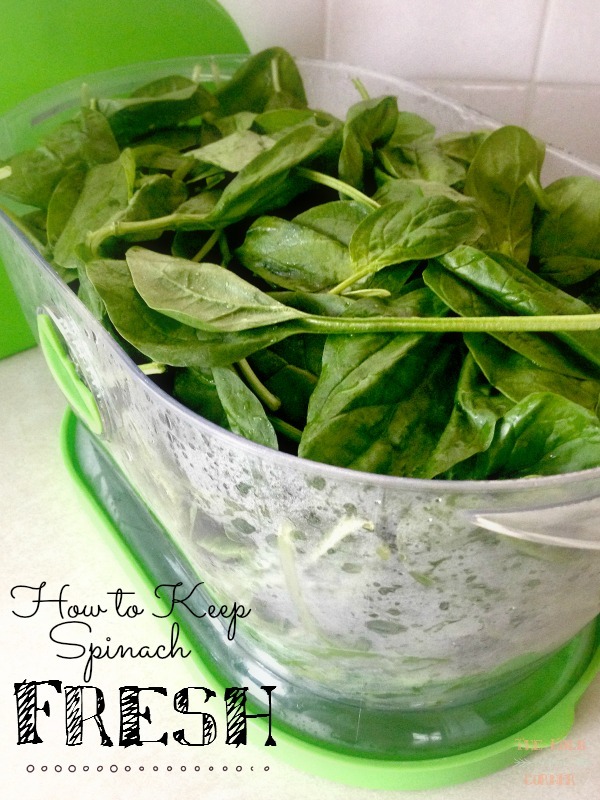 Even though I purchased the produce keeper, there are still a few more tricks to keeping your spinach fresher, longer. Don’t buy the bagged stuff! First off, I hardly ever buy bagged spinach anymore. Unless it is on sale for a good deal (we are talking $1.50 or less) I walk right past the bagged stuff. Generally speaking, “convenience produce”–think bagged and pre-prepped things–tend to be much more expensive, and sometimes lower quality. I tend to always opt for the fresh stuff. We are talking bunches of spinach–I do this for romaine and kale too. Not only are you going to spend less money this way, but I have found, time and time again, that it lasts much longer. The first thing I do after getting home from the store and putting everything away is wash my produce. All of it. Really you should not skip this step! You can wash the spinach a few different ways. I like to take the bunch apart and rinse it well in small batches. You could fill up your sink with cold water and soak the leaves for a few minutes. Either way works fine. While you are washing the leaves, take the time to sort out any bad leaves. What you want to avoid putting in your container are any leaves that are mushy, or brown/black. These will let rot start taking hold in the container and that is how spinach goes bad. Once you have washed the spinach, dry it really well. 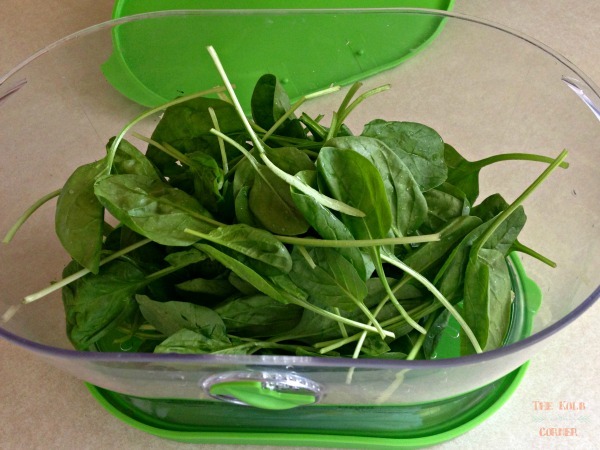 I have a Salad Spinner< and I absolutely love it! 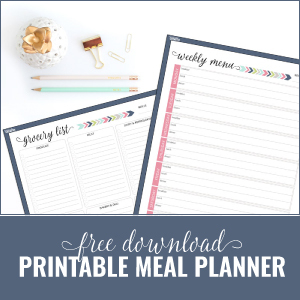 It has saved me a lot of time and headaches. Simply place the leaves in the spinner, give it a few spins and you have dry leaves. It’s important to get the leaves as dry as you can because the more moisture that sits on the leaves, the faster the spinach goes bad. 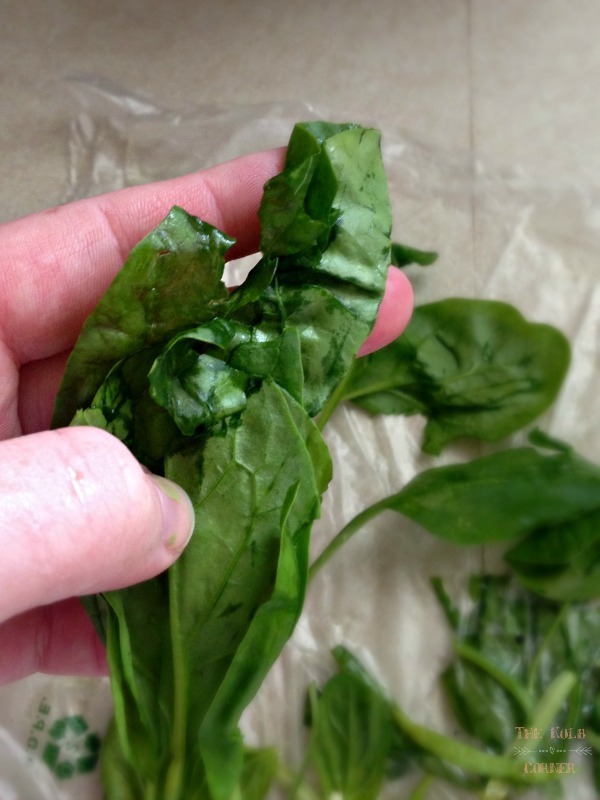 Place the spinach in your Produce Keeper and pop it in the fridge. If you don’t have a produce keeper, don’t worry. 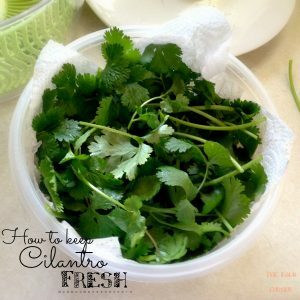 You can use the same method I use to store my cilantro. It works the same way! The important thing is to keep the leaves dry, but the environment moist, and that’s why the Produce Keeper works so well. You can adjust the amount of moisture that stays in the container. 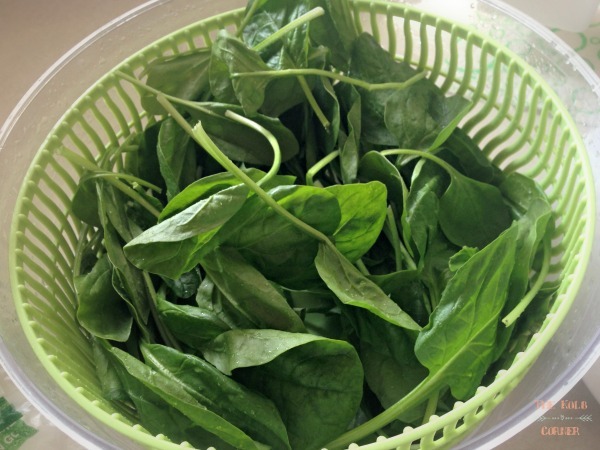 Storing spinach the right way will definitely keep it fresh for much longer. There’s no reason why eating healthy should be more expensive with more waste! How do you store produce that tends to rot quickly? 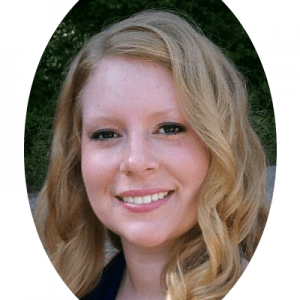 I’d love to hear your tips in the comments! 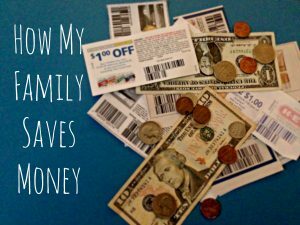 If you enjoyed this be sure to check out these other money saving tips! I HATE letting good food go bad. It’s one of my pet peeves! Thanks for stopping by! Looks like a great tool to have! Dh and I have been doing more salads recently, and I worry about the greens going bad if we get too busy to make a salad. Thanks Barb. 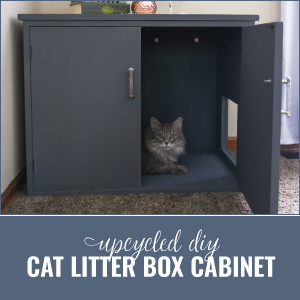 I love this container! Definitely a great kitchen helper. Thank you for stopping by! 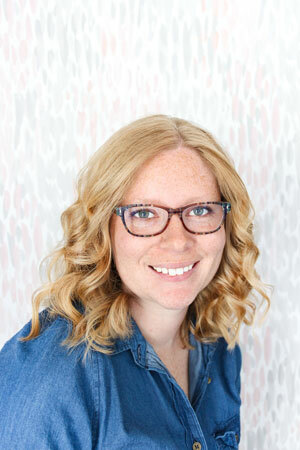 I am so in love with my produce keeper. When it’s not full of Spinach, I keep romaine lettuce or fruit in it. I really need about 5 of them lol. 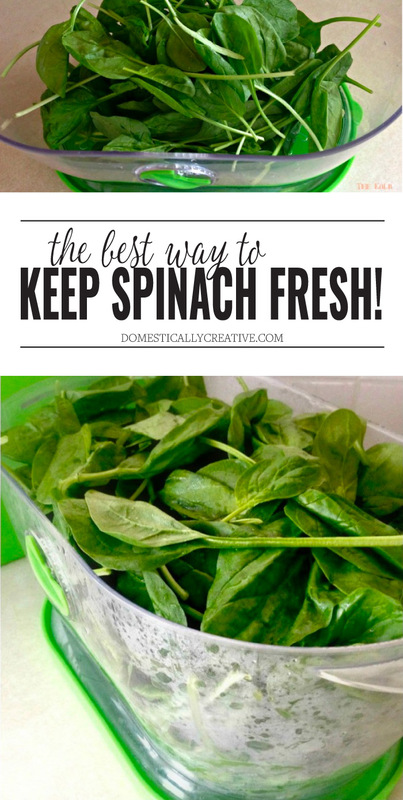 This is very good to know as there is nothing worse than soggy spinach! Pinned and shared! That is a great idea Janet and definitely one that doesn’t break the bank!! Thanks for these tips. This is perfect for my lettuce and spinach. I love both. Glad you found it helpful Rhonda!